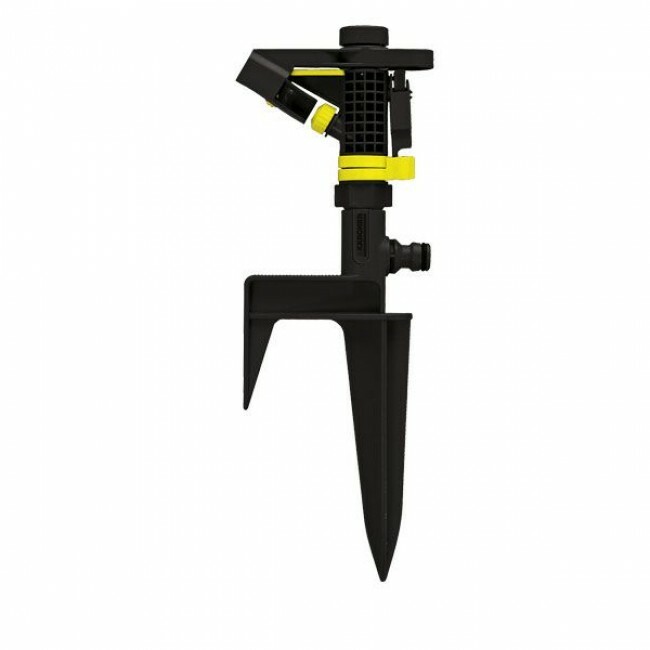 Combined pulse, circular and sector sprinkler: The pulse, circular and sector sprinkler PS 300 is suitable watering medium-sized to large areas and gardens. Covers up to 706 m2. Available with spike or sled base. Sprinkler easily connects to a garden hose and compatible with all available click systems. Watering with Kärcher is the smart way to water!